Ti-PTFE Regenerative Membranes are sterile non absorbable membranes made from polytetrafluoroethylene (PTFE) polymer reinforced with a medical grade Titanium embedded between two layers of PTFE. PTFE is a biologically inert and tissue compatible material. The Ti-PTFE Regenerative Membranes have been proved to be pyrogen free. Ti-PTFE Regenerative Membranes for Guided Bone Regeneration (GBR) help in bone neoformation acting as biological barriers to prevent migration from epithelium, the conjunctive tissue and/or bacteria that might cause bone growth inhibition, promoting an adequate space for the formation of a natural fibrin understructure, precursor of the bone tissue. Ti-PTFE Regenerative Membranes are manufactured according to the requirements of the European Pharmacopoeia. Ti-PTFE Regenerative Membranes are temporarily implantable material used in periodontics, implantology and any dental surgical procedure that requires a mechanical barrier, especially for bone reconstructions. The membranes provide a mechanism for the ingrowth of new soft and hard tissues and they are used as a space making barriers for the treatment of periodontal defects. Carefully open the outer tray of the double blister and aseptically remove the inner sterile tray which contains the Ti-PTFE Regenerative Membrane. The sterile barrier membrane then can be removed from the sterile inner tray for usage during the surgical procedure. Clinical judgment must be used in selecting patients who will benefit from tissue regeneration, selecting and implanting the appropriate configuration for the defect, and treating patients postoperatively. If additional stability is desired, the membrane can be stabilized with sutures, surgical tacks and screws. When removal is desired, the membrane can be easily removed by grasping with forceps. Anesthesia may be provided to enhance patient comfort, but is usually not necessary. Following membrane removal, the regenerated tissue will re-epithelialize within 14 to 21 days to complete the initial healing process. However, the final bone maturation will not occur for 6 to 12 months. 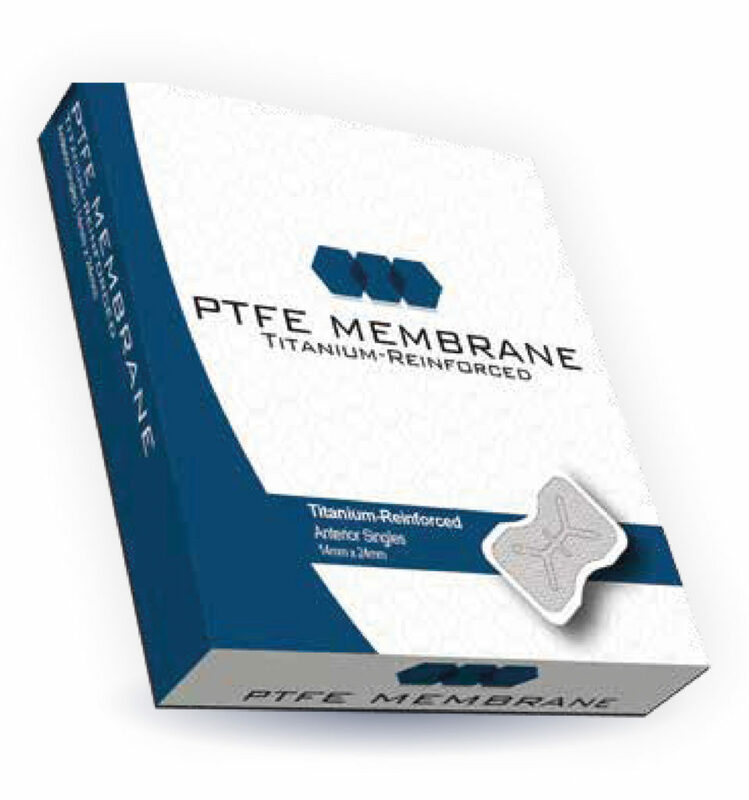 Ti-PTFE Regenerative Membranes like all the other membranes, should not be placed on existing active infection .